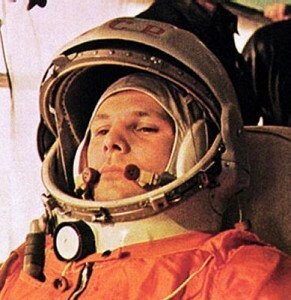 Yuri Gagarin, age 27, becomes the first man to orbit the Earth aboard the Soviet spacecraft, Vostok 1. He remains in space for an hour and forty-eight minutes before re-entering the atmosphere. This ultimately was Gagarin’s only space flight. He died on March 27, 1968 when the MiG-15 he was piloting crashed near Moscow. Reportedly, at the time of his death, Yuri Gagarin was in training for a second space mission.